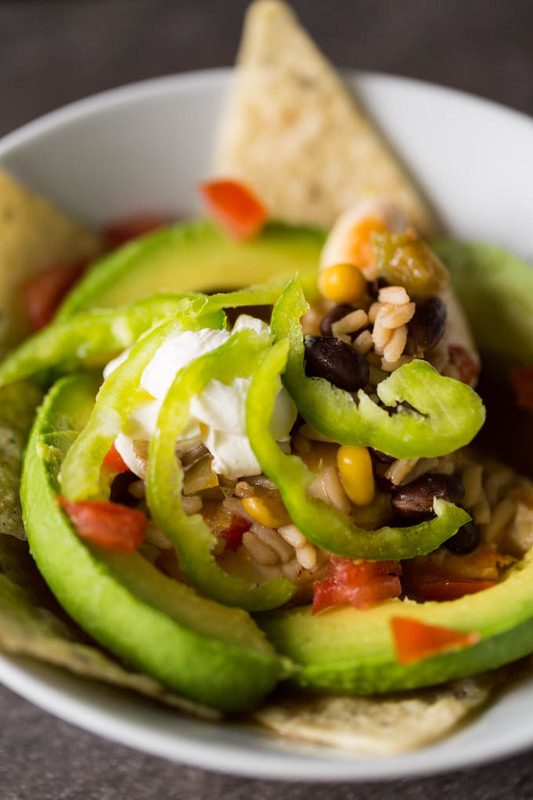 Make chicken taco bowls quickly in one pan when you use this secret ingredient. 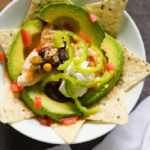 Top with your favorite taco fixings for a complete meal! This recipe was sponsored by Progresso. All thoughts and opinions are my own. Give me tacos, or give me… on second thought, just give me some tacos and I won’t have to get dramatic. I’ve never met a taco I didn’t like. Or, really, any permutation of taco—taco salad, taco bowl, taco Tuesday—it’s all good. As the season changed, I started thinking about cool weather comfort food, like soup. So I decided to mash up two of my favorite things: tacos and soup. 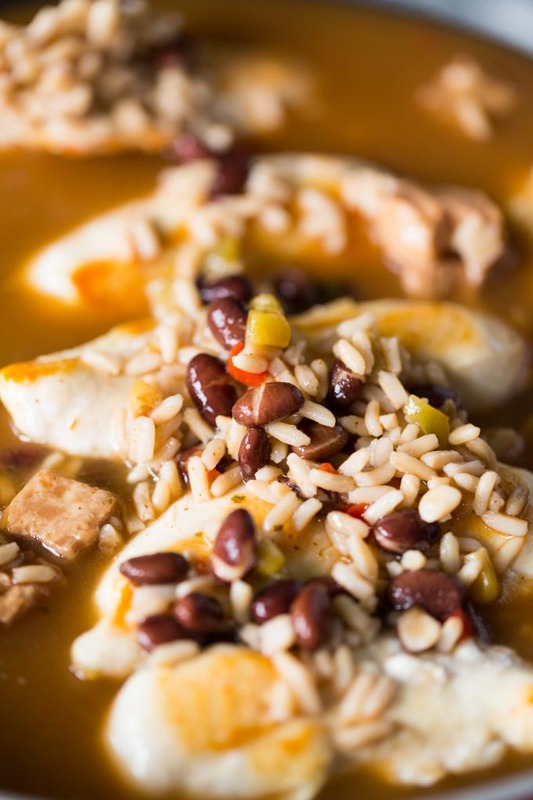 This one pan recipe combines sauteed chicken with Progresso Light Zesty Santa Fe Style Chicken soup from Walmart, lovingly avalanched with all my favorite taco toppings. 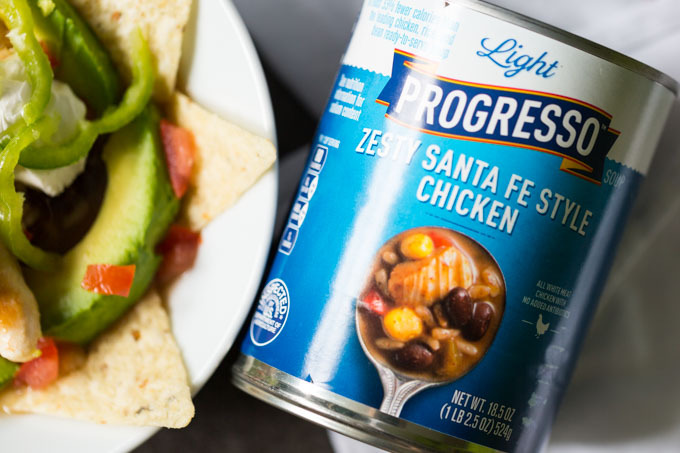 With quality ingredients and no antibiotics, Progresso soup is not only easy to cook with, it’s satisfying in the way that only a good soup can be. Zip on down to Walmart, barrel down the soup aisle, and (carefully) toss some in your cart. 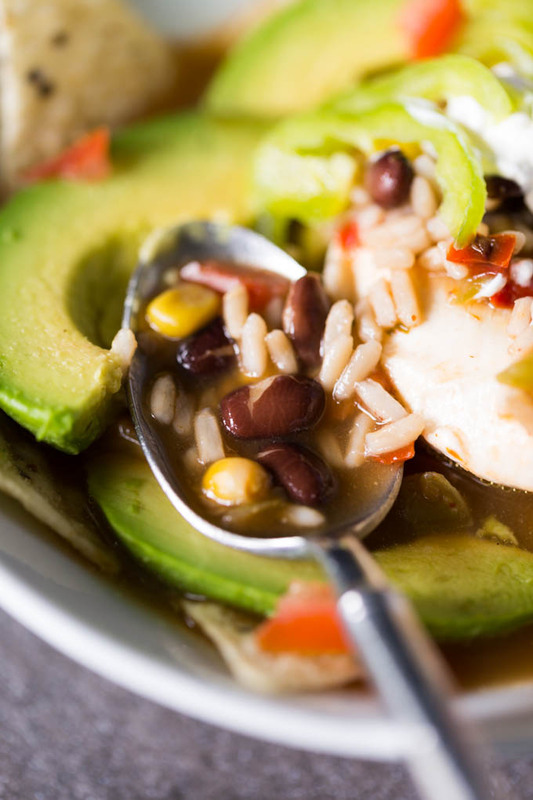 You’ll see how a homemade meal is easier than ever when you start with Progresso. 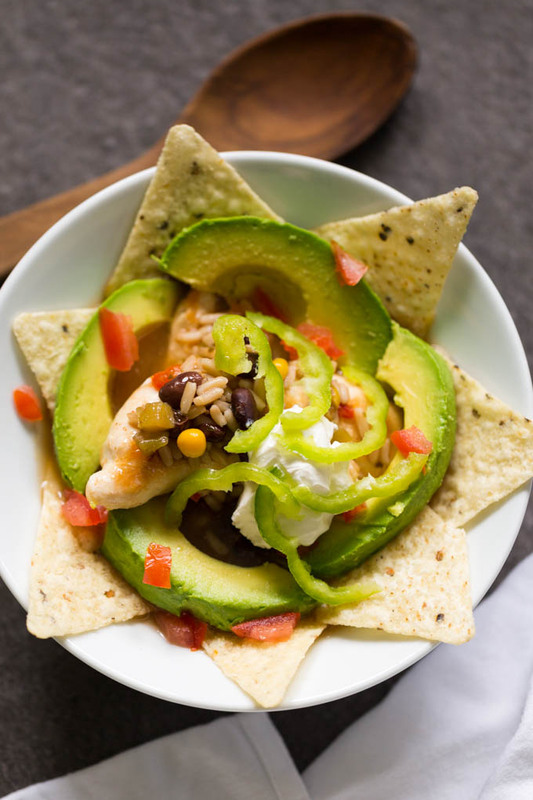 Once your pantry is well-stocked with Progresso soup, you can assemble your other ingredients (chicken tenderloins and taco toppings) and prepare to be amazed at how fast dinner is ready. First, you cook the tenderloins. Next, you heat the soup in the pan with the cooked chicken tenderloins. Then, serve it in bowls and top with anything you like. Here are some ideas to get you started. Drizzle a large nonstick skillet with about 1 tablespoon of olive oil and preheat the skillet to medium heat. 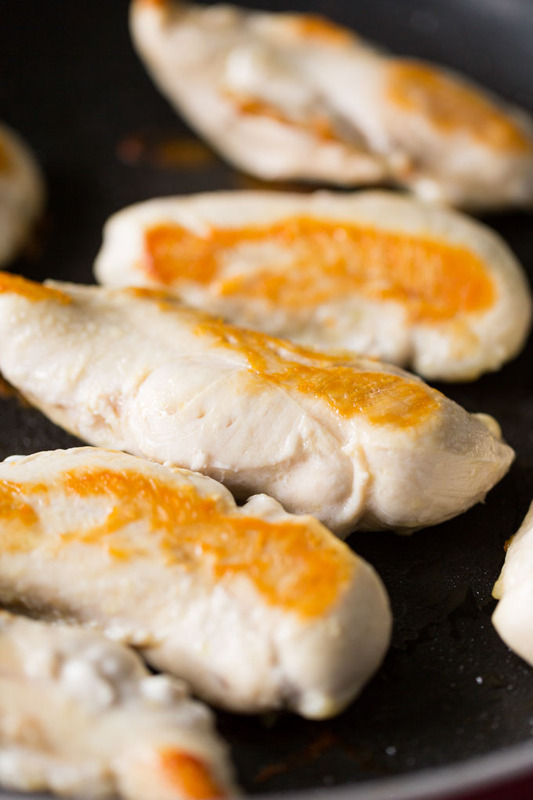 Lay the chicken tenderloins in a single layer in the pan. Cook for about 8 minutes, then flip each tenderloin to cook on the other side. Continue cooking for about another 8 minutes. Tenderloins will have golden brown markings. Add soup to the pan. Heat through, then transfer individual portions to serving bowls, adding about 2 tenderloins and 1/2 cup of soup to each bowl. Top with your favorite taco components and serve immediately. 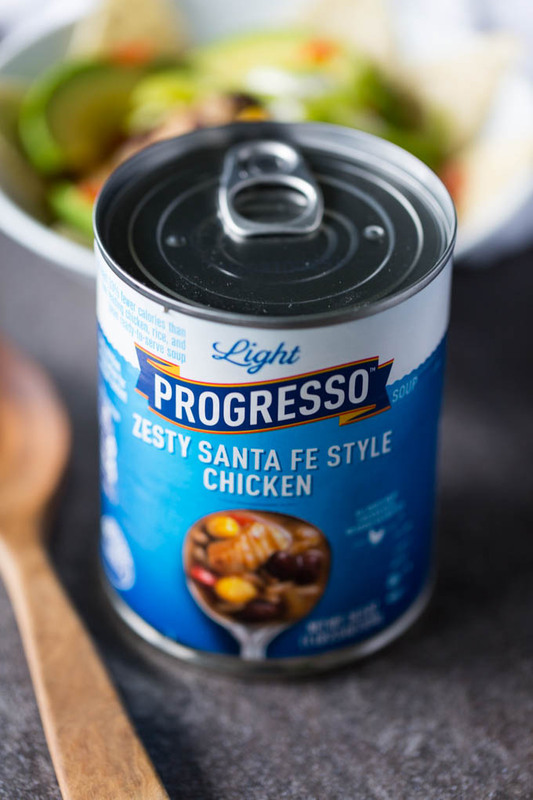 Stock up on Progresso Light Zesty Santa Fe Style Chicken soup at Walmart! If you needed to serve six, how much of the ingredients would you need? 2 TB oil, 2 pounds chicken, 1 1/2 cans of soup. Enjoy!